Inside the Indigenous Roots Cultural Center on St. Paul’s East Side, Sergio and Mary Anne Quiroz have almost finished installing a new dance floor — the taped-down edges of the new wood resemble a large jigsaw puzzle. 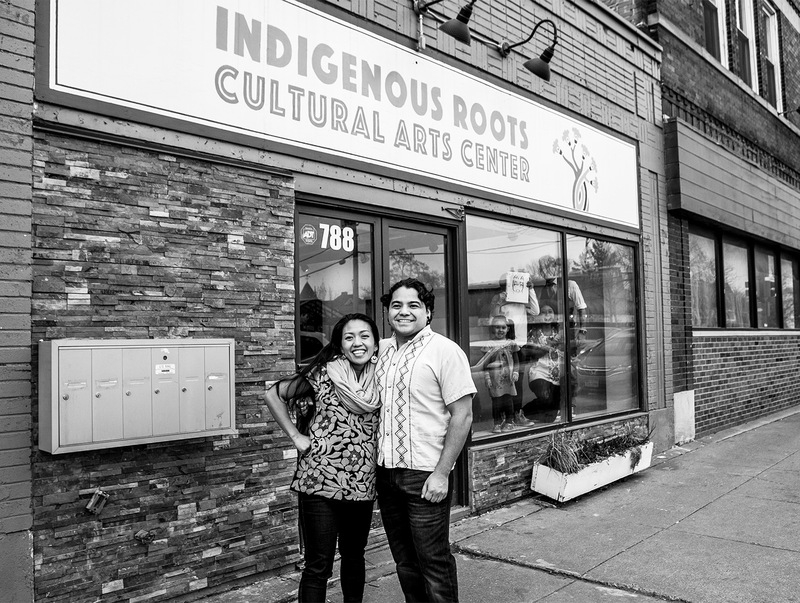 Sergio and Mary Anne are dancers, social justice organizers, and founders of an artist collective established within Indigenous Roots Cultural Arts Center. The floor inside the center’s dance studio is as much a symbol of their unfolding dreams as it is proof of their determination. In May of 2017, the cultural center opened with an invitation to honor community elders and offer a blessing for the new space. A Hmong elder, aided by his daughter, was the first to answer the call. Carrying a tree branch, the man swept clean the building’s floors and corners. He said nothing while he worked, and when he was done, he chucked the branch out a rear door, turned to his daughter and asked her to translate for him, “Don’t bring it back inside!” he said. “He swept out the energy that doesn’t belong here,” explained Mary Anne Quiroz. For two days following the blessing, Indigenous Roots celebrated the launch of their new home through dance, song, and an exhibition of visual art. 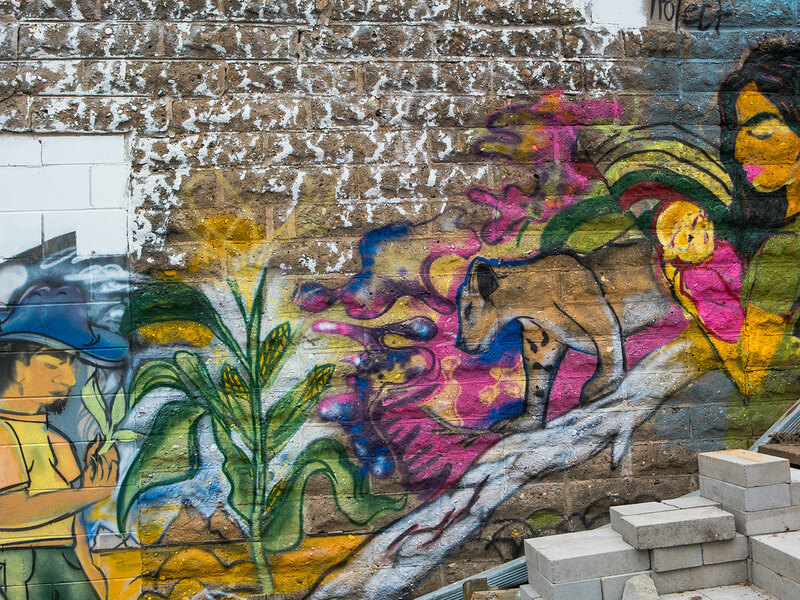 “The work of artists, healers, activators, and agitators who had been doing work in this community, and I don’t mean just the East Side, or St. Paul, but everybody who does this work,” says Mary Anne. Six months earlier, Dayton’s Bluff Community Council had hired Mary Anne to develop a new model to bring arts and culture activity to the Dayton’s Bluff neighborhood. Prior to this, Quiroz was organizing pop-up arts events in a temporary commercial space near the intersection of Arcade Street and E 7th Street. When the building at 788 E 7th Street opened up, a group of artists led by Quiroz moved into the space. The collective began as a community of artists striving to meet the growing need for communities to re-connect with ancestral knowledge systems—communities whose roots reach from Indigenous communities in Minnesota to Mexico, Asia, the Caribbean, West Africa and back. The new center has quickly become a pillar of St. Paul’s East Side, offering a weekly calendar of arts events and classes. It’s also a place where artists often lead movements for social justice and neighborhood revitalization. 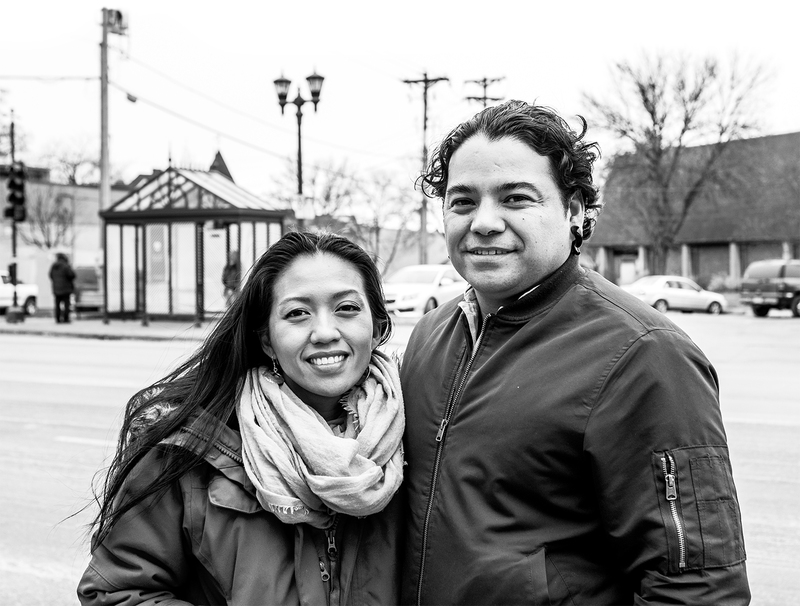 Mary Anne and Sergio see their own life stories interwoven into the larger story of their neighborhood. Mary Anne Ligeralde’s family immigrated to the East Side of St. Paul from the Philippines, the same year Sergio Quiroz’s family would arrive from Mexico. The two met in the 7th grade, and graduated from Johnson High School. Mary Anne recalls their parents held fast to the expectation the young couple would graduate high school. Beneath a photograph in their high school yearbook, they had listed their individual goals. 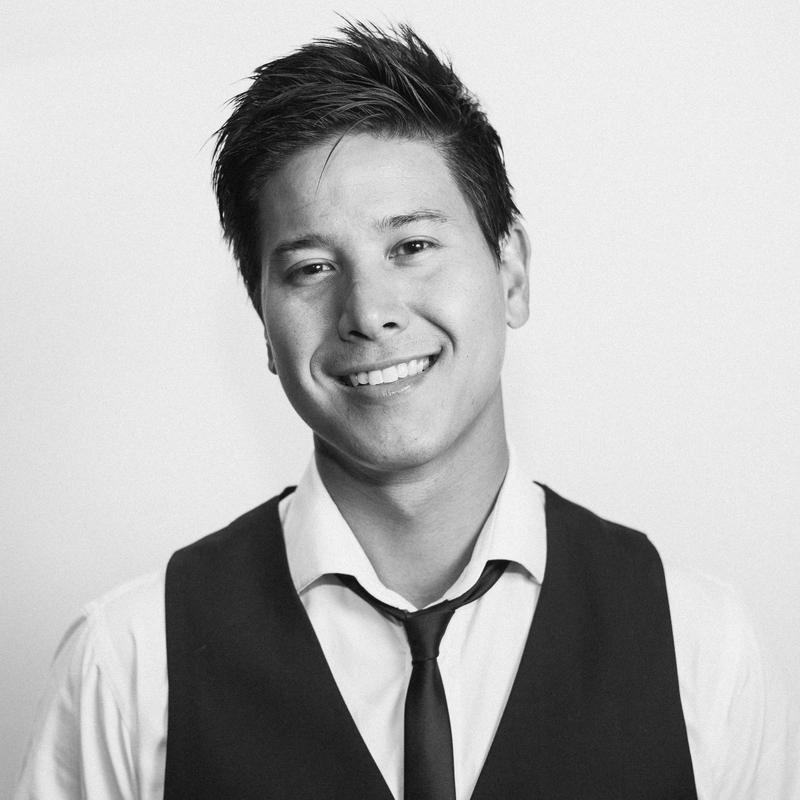 Mary Anne would go on to pursue a nursing degree and Sergio would start his own business. The young couple had become parents to an infant son, and the photo’s caption described their desire to provide him with a cultural education, “They also want to go to Mexico to show their son a part of his heritage as well as buying a home.” It is this final goal that would come to define their life’s work. The council paid the rent and utilities and Indigenous Roots offered arts and cultural programming. In exchange for rehearsal and performance space, artists donated their time and creative talent to renovate the building. 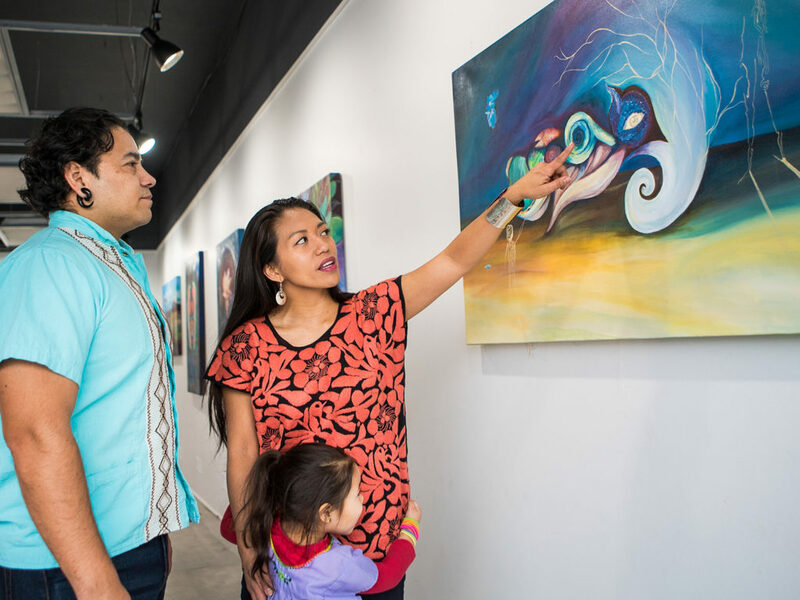 The partnership between Dayton’s Bluff and Indigenous Roots sparked hope that an artist-led economic development model would help to think creatively about the economic challenges faced by the neighborhood. It was a stellar first year for Indigenous Roots. But as 2017 drew to a close, dark clouds were drawing in. At a public meeting in December, Mary Anne Quiroz was stunned to learn Dayton’s Bluff Community Council’s finances had changed, and Indigenous Roots would be left to reconcile how best to move forward on their own. The situation was dire. 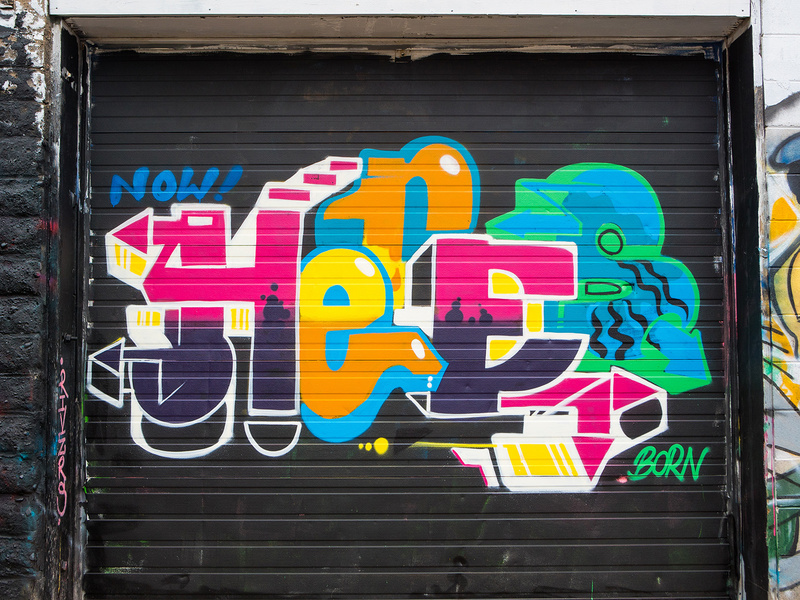 When Mary Anne and Sergio returned to the center in January of 2018, they knew that without support, the collective stood to lose everything: the building into which they had poured so much sweat equity, the momentum of their still-growing artists’ movement, and the space they’d carved for themselves in a community that needed their work. But it wasn’t the end: the East Side community rallied around the collective, raising enough money to keep the center’s doors open for a couple of months. Heartened by community support, Mary Anne and Sergio began to set in motion a plan to purchase the property. They couldn’t afford a conventional loan, so they hoped the owner would agree to a contract for deed — a plan that would allow them some time to buy the property. As it turns out, time was not on their side. In late March of 2018 a private developer arrived at the center to discuss his plan for developing East 7th Street. His plan encompassed several blocks — a mix of high-end and affordable housing, a new restaurant, parking lots — maybe a brewery. Mary Anne was wary. She wasn’t surprised when, later that month, the developer made an offer to the owner to purchase their building as a part of a multi-property deal. The Quiroz’s contract for deed plan was off the table. Stories of Indigenous Roots’ dilemma had begun to filter through the St. Paul community, and eventually reached Kathy Mouacheupao — then a program officer for the Local Initiatives Support Coalition (LISC). LISC is a national organization that is committed to finding equitable ways to invest in the people, places, and projects that strengthen Twin Cities communities. Kathy was leading LISC Twin Cities’ creative placemaking program and was keenly invested in LISC’s philosophy of community development: When local communities decide their own futures, they can thrive. Kathy and others went to work telling Indigenous Roots’ story to community lending partners. Within a matter of weeks, Mary Anne Quiroz received a phone call from the Land Bank Twin Cities, a community-based entity that specializes in assisting organizations with acquiring property. The Land Bank explained they had heard Indigenous Roots’ story and wanted to help. That May, a year after the blessing of the new center, the Land Bank, Mary Anne and Sergio sat down to write a purchase agreement. By August, The Land Bank formally acquired the property from the previous owner and with the help of a small grant from LISC, Mary Anne and Sergio signed the agreement on behalf of Indigenous Roots to purchase the building over the next three years. Indigenous Roots is looking ahead to a fruitful 2019 when they will launch a capital campaign to raise the rest of the money needed to purchase their building outright. 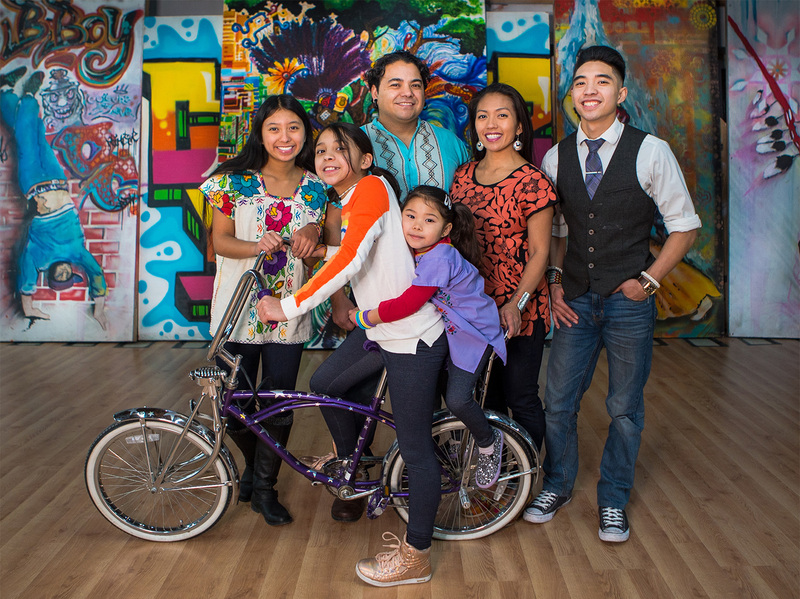 Mary Anne and Sergio Quiroz continue to lead the East Side community in creating spaces where artists rooted in their communities can work together to define their own financial well-being and continue leading in community change and transformation. “I know it sounds cheesy, but it’s been magic seeing all of this happen,” says Kathy. 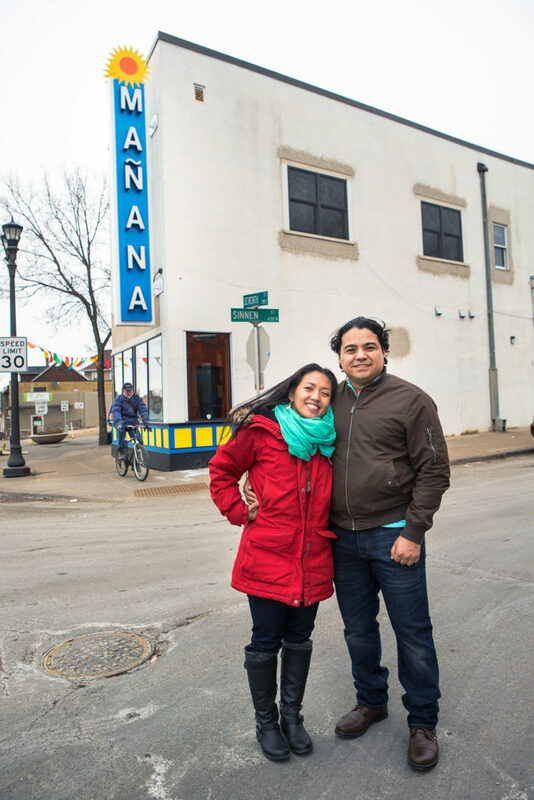 And if there is some magic here—in the way several cultures found a home in St. Paul’s East Side, in the way that Mary Anne and Sergio found their leadership, and in the way a community fought for an organization that meant so much to them—it’s the kind of magic that more neighborhoods could use, in St. Paul and beyond. Juxtaposition Arts (JXTA) is seeking aDevelopment Manager.This position is a key hire to help us meet our mission goals, build the brand and reputation of JXTA programs Labs, products and services. This position is responsible for directing the activities associated with grant preparation and submission, cultivation of donors and institutional funders, solicitation and stewardship of government contracts, prospecting of corporate and foundation grants. Grants are integral to the success of Juxtaposition and this position would work closely with the CEO and Development Team. A competitive candidate must be interested in working on multiple internal projects and external relationships concurrently. Given the variability of the role, candidates must be highly organized and able to juggle multiple tasks at once. Juxtaposition is a collaborative work environment where people that are positive, personable, fun, intelligent, motivated, efficient, and team-oriented are valued and successful. Benefits:High-quality health and dental care. Generous and flexible PTO. Work from home Friday option. Passion, energy and commitment demonstrated in working with and in diverse communities. Superb interpersonal skills and be a strong team player who works with other employees to achieve positive results. Successful at inter-personal exchanges and communication. Creative, curious, and game to try new things, learn new things, become part of the Juxtaposition Arts team. Flexible and able to attend events in evenings, on weekends, and during workweek (periodic and pre-arranged). 2 or more years of experience working in grant management, fundraising, and development positions. 3 or more years of experience working with individual donors. Advanced knowledge of MS office and Sales Force or another CRM. We’re seeking an intellectually curious, highly analytical professional with great interpersonal skills to join the Foundation’s Community Innovation Team. We are a collaborative and curious bunch of people who are passionate about learning, equity and making the most impact we can in this vast and varied region. If you have these skills and share these interests, please consider applying! The Bush Foundation is a private foundation based in St. Paul, Minnesota. The Foundation was established in 1953 by 3M executive Archibald Bush and his wife, Edyth. Today, we invest in great ideas and the people who power them in Minnesota, North Dakota, South Dakota and the 23 Native nations that share the geography. We work to inspire and support creative problem solving – within and across sectors – to make our region better for everyone. You can learn more about us at BushFoundation.org, including our perspective on equity. The CI Program Manager will be responsible for actively sourcing and cultivating grant proposals from people all over the region and providing coaching and support to grantees. They will also provide some day-to-day leadership for key elements of the Community Innovation team’s programs. The specific responsibilities for this CI Program Manager will vary based on the qualifications and experience of the successful candidate and the other team members. Presenting information about the Community Innovation programs and community problem solving concepts. Demonstrated success at building and maintaining relationships and working collaboratively AND demonstrated ability to exercise independent judgment and move forward with a minimum of direction. This person needs to be comfortable and skilled at working both ways. Demonstrated ability to effectively interact, communicate, and collaborate with people from a wide range of cultural backgrounds. Demonstrated ability to manage multiple priorities concurrently and effectively and to lead projects in a collaborative manner. We will be hosting a brief webinar on Thursday, February 7, 2019 at 10:00 a.m. (central time) to better acquaint you with the Bush Foundation and the Community Innovation Program Manager position. Please register for the live webinar here. A recording with closed captions will be available on our website shortly after the live webinar. Send a cover letter and resume to Talent@BushFoundation.org; must include “CI Program Manager” in the subject line. Please apply by noon (central time) on Friday, February 22 to ensure that your application be given priority consideration. Your application may not be considered if you apply after this date. Ramsey County and the City of Saint Paul have asked the Ramsey County Historical Society to lead a task force that will select and guide local artists in creating new art for display in the Council Chambers at the St. Paul City Hall/Ramsey County Courthouse. These new artworks will be exhibited alongside four existing murals created by John Norton in 1931-1932. With the same overall goal of celebrating the people and development of our capital city, the new artworks will address an 87 year gap in the history of our community. Current artwork will not be damaged. For more information on the Task Force, the project, the murals, and for the application, see the website link. Springboard for the Arts is now offering a new fellowship for BIPOC (Black, Indigenous, People of Color) and Native artists who are working to build tools and pathways of support for other artists. If you are, or know an artist who fits this criteria, continue reading to learn more and apply! 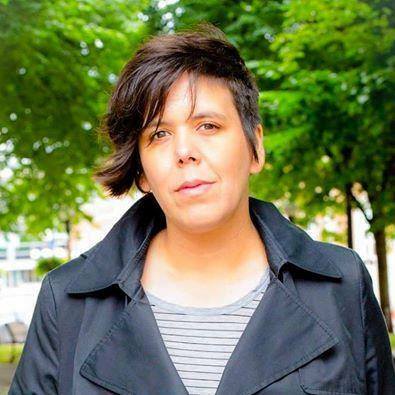 Melissa Olson (she/her/hers) is a mixed-heritage Native woman who makes her living as a writer and producer of independent public media. 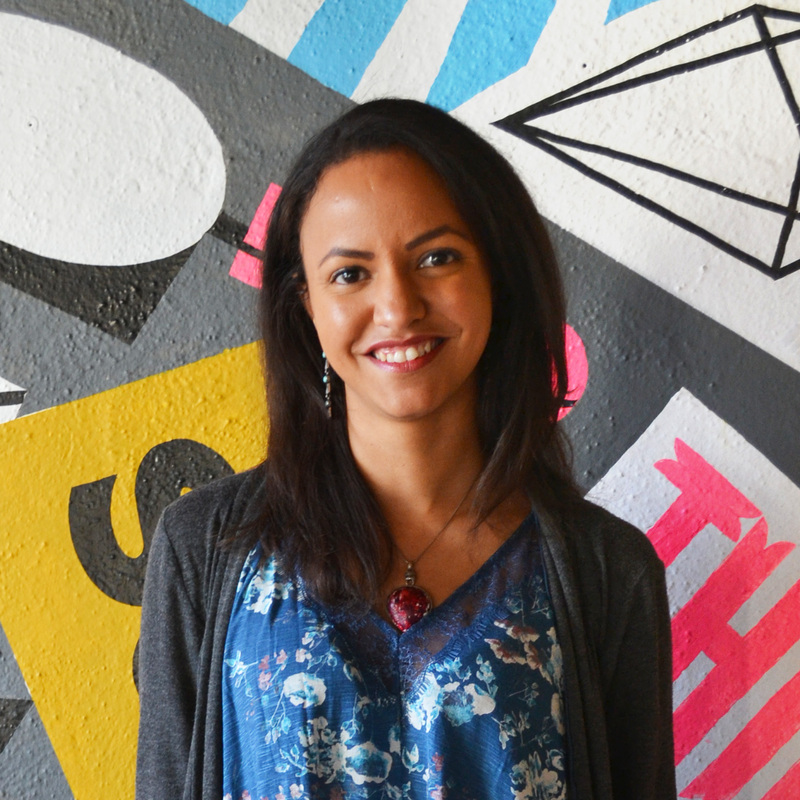 She also works with TerraLuna Collaborative as a consultant, an art-based developmental evaluation firm. Melissa attended the University of Minnesota as an undergraduate, and was a proud recipient of a MacArthur Fellowship in 2003 for her graduate work in American Studies. Melissa lives in Minneapolis with her boyfriend John and their bulldog Bronson. 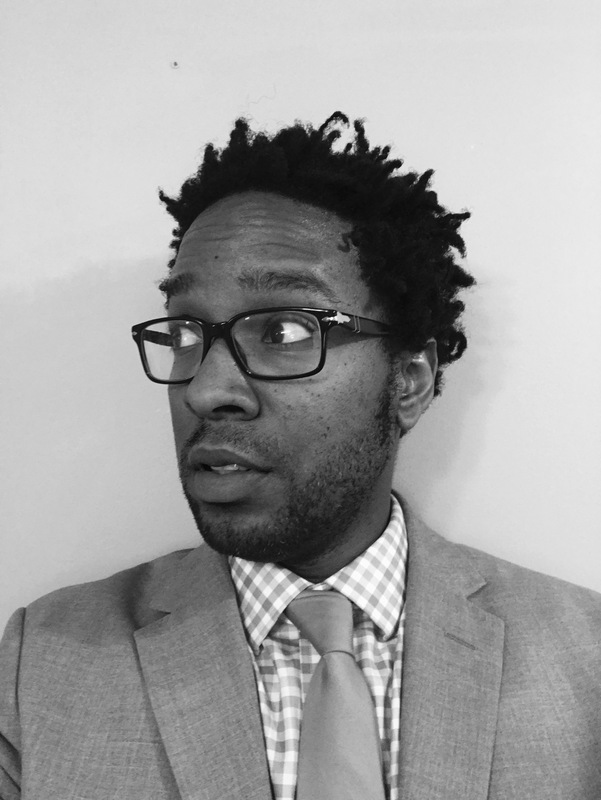 Ryan Stopera (he/him/his) is a photographer, filmmaker, videographer, social worker, community organizer, and educator.He has worked in direct social services and grassroots community organizing for over 10 years. This privilege has allowed Ryan to build a vast amount of relationships and experiences constructing a deep analysis of the social issues our communities face today.